If you’ve been to Pittsburgh, PA, you’ve no doubt seen or maybe even ridden on one of the inclines that rise up from the banks of the Monongahela River to the top of the Mount Washington area of the city. 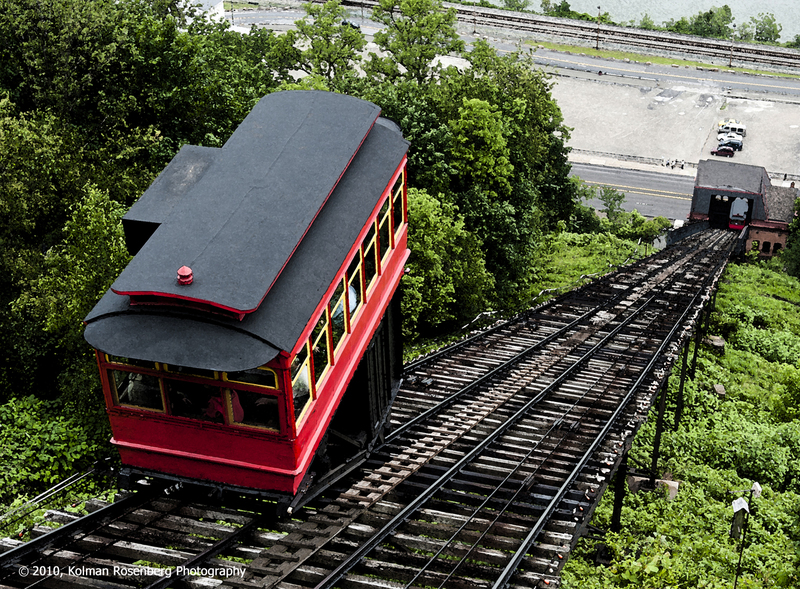 The Duquesne Incline, shown in these photos, is quite picturesque with 2 bright red cars which pass one another going up and down the track. This photo has a slight watercolor filter affect applied to it giving it a painterly look. If you go inside of the incline station at the top of Mt. Washington, you are able to view the working machinery which moves the 2 cars up and down the mountain. 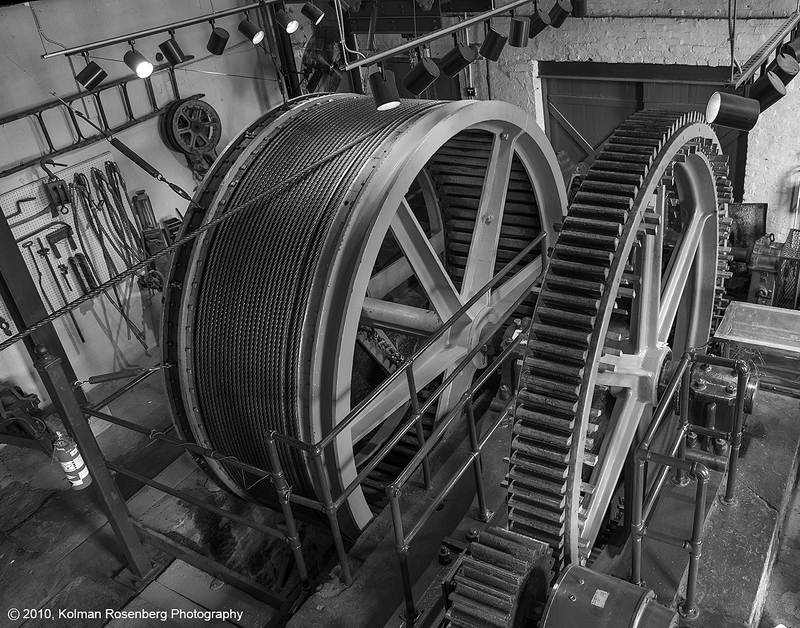 I’ve always loved photos of machinery and particularly in black and white. This machinery is actually bright orange with green railings and beams all around, but I prefer this type of photo converted to black, white and shades of gray. This entry was posted in Uncategorized and tagged black, Black and White, cars, duquesne, Duquesne Incline, gray, incline, incline station, machinery, monochrome, Monongahela, mount, Mount Washington, pa, Painterly, pennsylvania, photoshop filter, pittsburgh, red cars, River, Transportation, Travel, vacation, washington, watercolor, watercolor filter, white. Bookmark the permalink. I agree about machinery photographed in black and white. Although I prefer monochrome for most things, when the subject has a strong structure, like the wheels in your photo, it lends itself to black and white. Yes, thanks! I prefer monochrome as well but in these days of digital shooting in color, I usually find myself going back looking for images that will lend themselves to B&W. Occasionally I’ll set the camera to RAW + jpeg and set the jpeg to monochrome so that what I see in the viewfinder will be B&W and that puts me in the right frame of mind to be shooting for monochrome images!